Breakfast. It's one of the most important meals of the day and also one of my favourites. 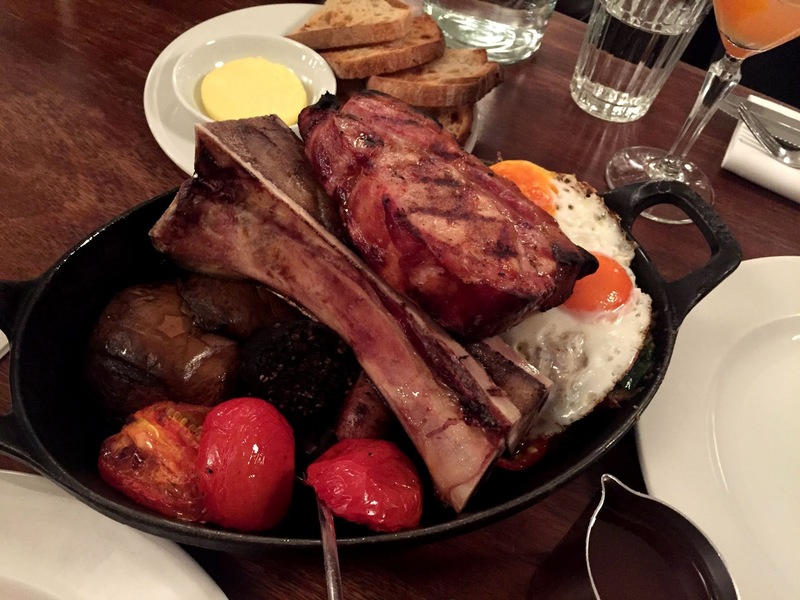 When I do breakfast, I like to go BIG and you don't go bigger than the breakfast at Hawksmoor. Now I'm sure you'll have heard all about their UNREAL steaks but did you know they also do breakfast? 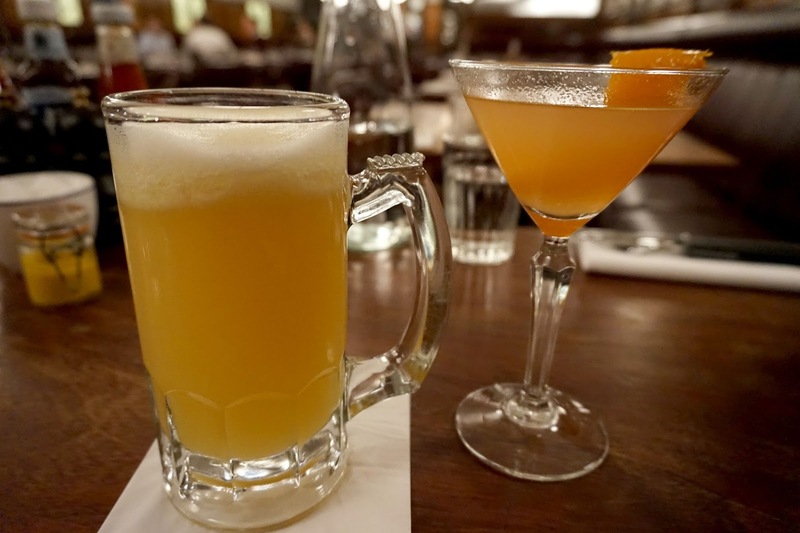 It's only available Monday to Friday and it's only served at the Guildhall branch and it's literally ah-mah-zing! I took Tom for his birthday as a little treat. As it was a treat and a friday and because they were called anti-fogmatics we started our breakfast with a cocktail. Who cares if it was only 9am? In terms of breakfast. We were there for one thing and one thing only. The breakfast to end all breakfasts. 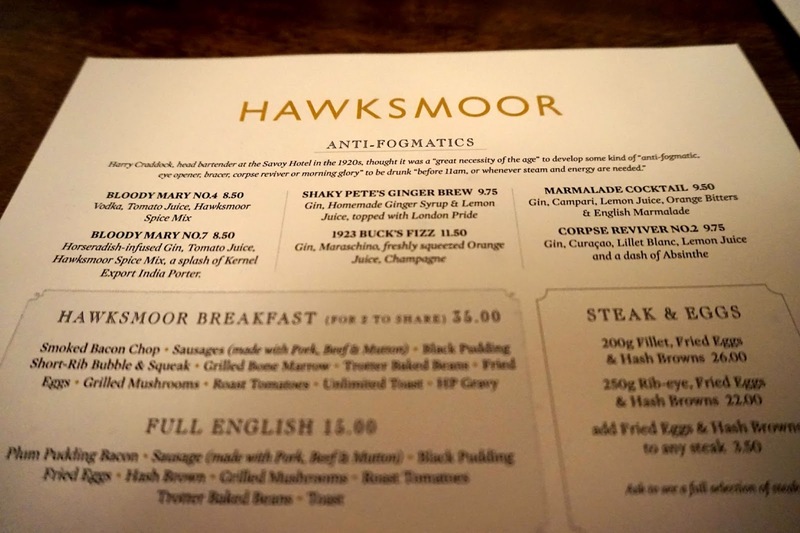 The Hawksmoor Breakfast for two (£35). It's made for two to share (clue is in the name) but it's enough to feed a small family for days! 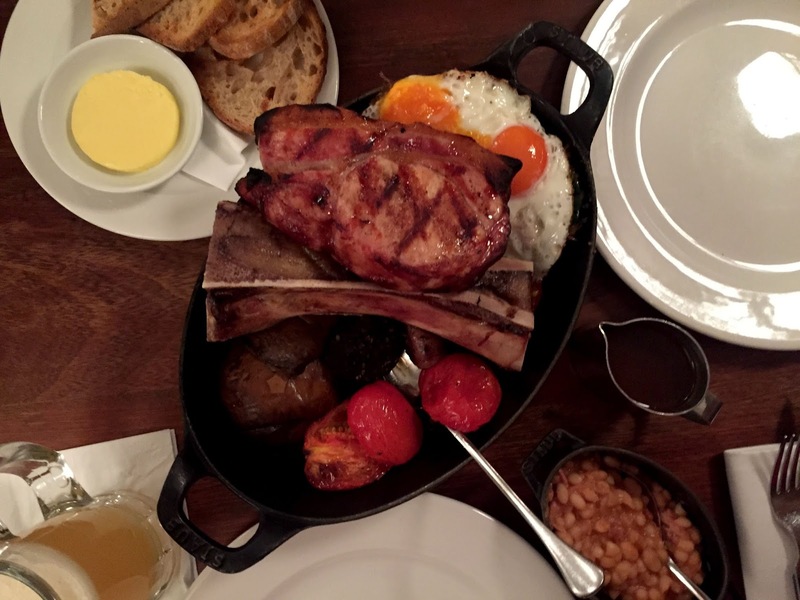 You get a huge smoked bacon chop, sausages, (made with pork, beef, & mutton), black pudding, short-rib bubble & squeak, grilled bone marrow, trotter baked beans (incredibleeee), fried eggs, grilled mushrooms, roast tomatoes, HP gravy and unlimited toast - and breatheee. It is quite literally huge and it tastes incredible! Bone marrow on toast was the highlight for me but the trotters beans were incredible too. Home-made smokey baked beans with pulled pork - seriously as good as they sound. There are very few times Tom has not been able to finish a meal and this was definitely one of those times. I mean just look at the sheer size of it! 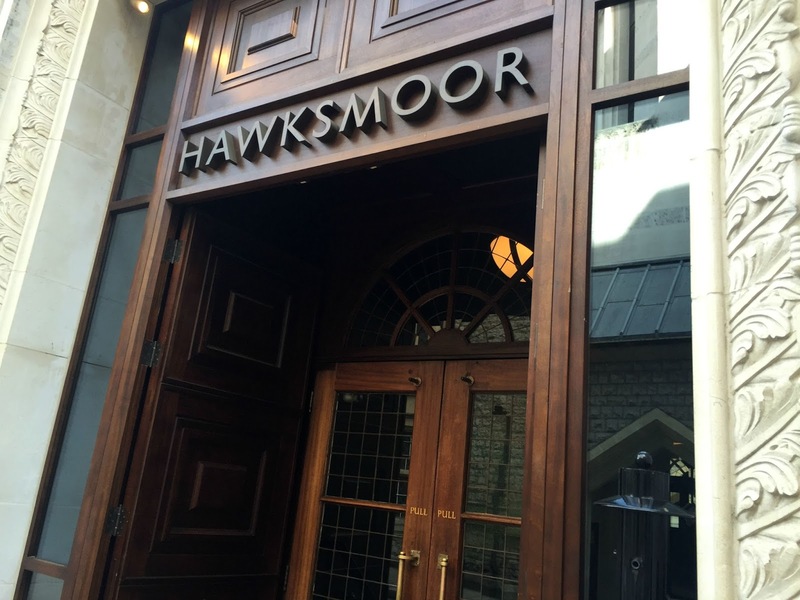 If you're ever in the city mid-week, you should definitely stop by Hawksmoor for breakfast. If you're not quite up to the big breakfast challenge, there's loads on the menu to chose from including eggs benedict, steak and eggs and lighter options like grapefruit or granola.